Hybrid watch with colored hands. Illuminating effect triggered on leaving dim mode. You can manually triggered it by tap ping 8. In dim mode the second hand shows battery. 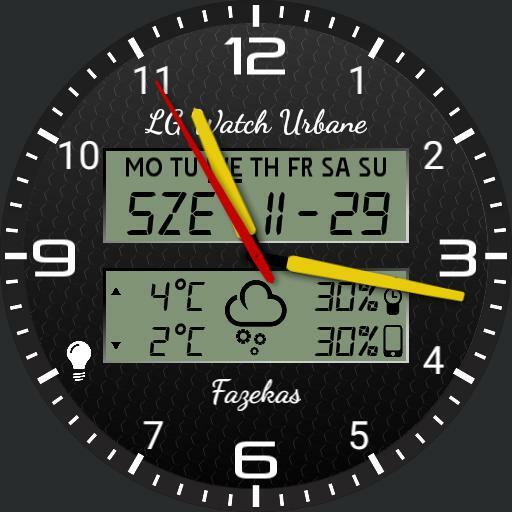 Tap Weather icon to update weather.